The time required for delivery can depend on the availability of our products, the delivery option you chose and the country that is being delivered to. Please see details on individual product pages. If you select your shipping destination, you will get the options available. With the majority of deliveries we do require a signature, especially for items with a value over £40, to make sure you actually receive your purchase. We therefore recommend you supply us with a deliver address where there will be someone in to sign for the goods. We appreciate this can cause difficulties sometimes but from our experience it is the best way to ensure delivery and avoid the disappointment of lost or stolen parcels – unfortunately this does happen and ends up with everyone being upset. Any order placed before 1pm will be processed and dispatched on the same day or the next working day if your order is placed during Saturday, Sunday or a Bank Holiday. Please note that we do not dispatch products during Saturday, Sundays and Bank Holidays. Unless otherwise agreed, we also do not deliver on Saturdays or Bank Holidays. Arrangements can be made if you require your goods urgently however, there may be a significant increase in cost based on the courier tariffs. Please note if ordering on a Friday, you order may not be delivered until the Monday or Tuesday of the following week. If you need your product urgently or have any questions regarding delivery, please contact us. For security reasons we are unable to deliver to any PO BOX address, sorry. We can ship to BFPO addresses, using the Royal Mail as the delivery option. All BFPO addresses must be registered as UK, rather than the country where you are posted. Royal Mail will then deliver the parcel to the British Forces Post Office in London. It then becomes the responsibility of the British Forces to deliver your parcel to the correct location. For orders over 2Kg to BFPO addresses, please contact us in advance so we can discuss the best way to get the goodies to you. Please accept our apologies for this but all the couriers apply surcharges for remote UK and the Islands. This includes: IM - Isle Of Man, BT – Belfast & Nortern Ireland, IV - Inverness, PH - Inverness, PA - Renfrewshire, KY - Kirkcaldy, KW - Orkney Isles, HS - Isle Of Lewis, ZE – Shetland, PO – Isle of Wight. For these postcodes we use Royal Mail recorded service unless otherwise agreed based on required timings. Deliveries over 2Kg to the above postcodes may incur further postal charges but we will contact you before processing your order. We ship worldwide and offer a choice of services when you checkout. Please e-mail for a quote if your country does not appear in our list. With airfreight, an important factor apart from weight is also the dimensions of a package, which means that bulky or multiple items (e.g. Large suitcases, Snowboards and bindings, etc.) will be classed at a higher weight. Therefore, Express-delivery costs cannot be calculated beforehand for bulky and Multiple products. The Board Basement does not take responsibility for any customs charges or holding/return fees on any goods held or charged during international delivery. We recommend you research the rules of delivery and any taxes prior to placing an international order with us. Tax and customs charges vary depending on country and we are unfortunately unable to supply you this information. Where a genuine attempt or attempts have been made to deliver an item without success, the parcel can be re-delivered at your expense. Prior to any parcel being returned we will of course attempt to communicate with you, however, if the courier returns the parcel to us, we also need to charge a return fee of up to £25, which is levied on us by the couriers. We’re sorry about this but we get charged for non-delivery. Please note that this return fee is not applicable to Royal Mail deliveries. Quoted delivery times and dates are not guaranteed because once a parcel leaves our premises it is in the hands of the delivery gods and third party carriers. We will always endeavor to ensure you receive the parcel as soon as possible. Damage in transit can only be claimed if, when accepting a courier delivery, the damage is reported upon signing for the goods. You supply us with a valid delivery address where someone can sign for the parcel. Please note that all express delivery services requires a signature. You can give us your work address or an alternative address, where you know someone can sign for the parcel if you won't be available at the billing address. Supply us with a contact telephone number and email address. We pass these details on to our couriers in case they need to contact you if there's a problem with the delivery, or they cannot find the address. Use the tracking / consignment number that we send to you after the order has been dispatched. By tracking your order, you will be kept informed of estimated time of delivery or any possible delays or problems (e.g. no one was home to sign for the parcel or if the driver was unable to locate the address.) You can then contact the courier to arrange for a redelivery or solve any issues in terms of your specific order. If you are unable to be at the delivery address supplied at the time of delivery, the courier should leave a calling card. Please contact them to arrange re-delivery. If the courier service is unable to locate your address, the parcel will be returned to your local depot. If you need any assistance with your delivery or if you have not received your order in time, please contact us. You can track your order at any time with the consignment number. You'll receive your consignment number as soon as your order has been marked as dispatched via email. Please note that you can only track your consignment after the first scan, when the parcel reaches the first delivery depot. However, you can also find it under "My Account" with the corresponding order. 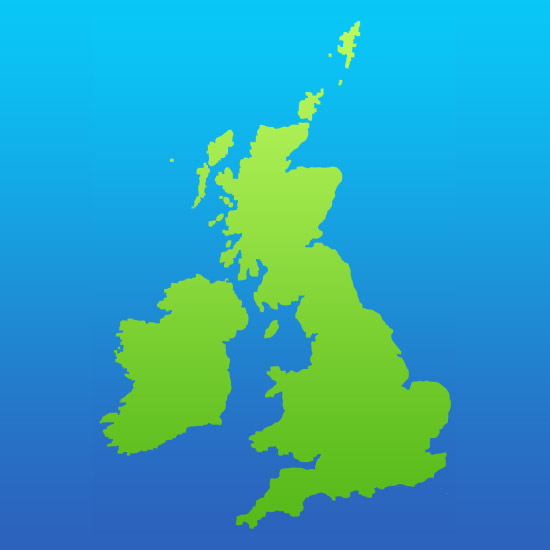 We offer a free standard delivery service on selected products to UK mainland only. This service is for UK mainland only, if you spend 30 pounds or more. Normally dispatched using Royal Mail 48hour Tracked service for the total product weight under 2kg. This service is tracked but do not require a signature. For products over 2kg we use Interlink express next day courier service. This service requires a signature. For products with free standard delivery, but with urgent delivery requirement, there is the option to have express delivery. This option is always associated with extra cost. Please note that heavier products (Boots, Bindings, Snowboards) will automatically be dispatched on a next working day service. 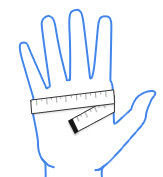 Package weight and / or dimensions determine the delivery price. Transit time is 1-2 working days depending on shipping destination. This service is for UK mainland only. For international deliveries we use Royal Mail, Interlink Express ( DPD) and DHL. Delivery time and cost vary depending on shipping destination and total weight and / or dimensions. Please contact us is you are planning to purchase multiple or bulky products so we can work out to most cost effective price. Firstly we hope it doesn't need to come to this, however, if you are not completely satisfied with your products or you want to exchange them, you can return them within 30 days to us unused, in the original packaging, including any tags and labels and in a perfect and saleable condition at your expense (unless otherwise agreed). You will then receive a full refund less the original cost of postage (i.e. full refund for the cost of the item) or an exchange to the same value as the item originally purchased. We regret that we are unable to refund any items after this cooling off period, unless agreed in advance, but in exceptional circumstances we will consider an exchange for other goods of equal value that are in stock. For a return or exchange (where there is no fault on our part) there will be an additional delivery charge based on delivery address. All goods must be returned and any charges paid before the goods will be sent back out or refunds paid - please note it can take 3-5 working days to process a refund once it leaves our account. If you return an item to us that is faulty; which you did not order; or for any other reason that is our fault, we will obviously refund you as well as reimburse a reasonable cost of the return postage (unless agreed please do not send items back via Special delivery or similar high speed services). This includes warranty items. Our extended Christmas returns policy is valid from 1st November 2017. This means that you can now return online and in store purchases up until 15th January 2018. Normal exclusions apply. In all circumstances, you will be responsible for the item or items until they reach us. For your own protection, we recommend you use a secure delivery method, such as Interlink Express or Parcel Force or regular mail with Recorded delivery, which requires a signature upon delivery and insures you for the value of the goods. For larger more delicate parcels, such as snowboards, please contact us to advise you on the best way to return the goods. Please include the original invoice that was included with the product(s). We have sent you a copy via email when you placed your order. If you do not have this, please clearly mark your name, contact detail, order number and details of the item you wish to return, plus any particulars of exchange required. If you do not have these details available then pass on as much information as possible on a covering letter. To return a faulty/warranty item, please contact us in advance and if possible provide evidence of fault so we can assess what actions to take; it may be that a replacement part can be supplied. This will enable us both to agree the next steps. All warranty items are subject to an inspection. Please note that the conditions of warranty are down to each individual producer, and are usually described in a warranty-card that is included with the product, or stated on their website. Please note: Most producers will not accept warranty for damage from riding rails, wall-rides, normal wear and tear or accidental damage! Please send us an email with the order number and your full name and contact telephone number. 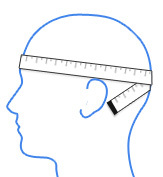 Describe the problem and if possible, add a photo to clarify the issue. We will then look at the problem and let you know if you need to send the product back. If we aren't sure ourselves, we will forward the problem description to the producer to hear their opinion. This process saves you the frustration of paying for a delivery, just to find out the issue is not covered by warranty. We will only reimburse you for the postage cost, if the product is faulty. If we think your product has a material fault, you will send it back to us and we will forward it to the supplier (If needed). We wait for an answer from the supplier (time varies with each manufacturer, in general it takes 4-6 weeks), they will then inform us if the guarantee claim has been accepted and what they can offer you. If the product does have a fault they will usually send a new replacement, or if that exact product is not in stock they will send a qualitatively equivalent model of the same price range as the claimed product. If the manufacturer decides that your claim is not valid (for example because the product was broken due to improper use), you will get the product back. We will contact you in such circumstances. Normally this would have been discovered at step 1. As soon as we receive a replacement, we will send it to you free of charge. Any refund will be returned using the same payment method as we received the money. Due to security reasons we cannot process refunds to alternative bank accounts. If the Paypal account/card/bank account has expired or is declined in the time between purchase & refund, then we will contact you to arrange alternative payment. We hope this will not be the case anyway, thanks. We also accept Paypal payments and cash in store. Read more about Paypal here. Your safety is our highest priority, and that is why we use great caution and the highest safety standards while dealing with your personal data. For safe transferring of customer data during the ordering process and especially credit card details, we use a secure transfer method – the "Secure Socket Layer" (SSL) connection. Credit card data is never saved, but immediately received and processed by our payment service provider "Sagepay". We do not share your card or personal details with anyone else. We will need to know the name of the card owner, card number, date of validity, the safety-code and the billing address. The billing address is the address where the card is registered. With this method we can carry out your order without electronically transferring your credit card information. We do not store any card details. We work hard to prevent fraudulent activity. Every single transaction will be scanned and approved before any order is processed and dispatched. In some cases, we might implement a credit card check for safety. You will be informed by e-mail about this. In these rare cases we simply require a copy of the front side of your credit card (so that the number and card owners' name are legible) as well as a copy of a current ID (Official ID, Passport or drivers license). You can send us the copies by mail or fax. This process only needs to be carried out in very rare cases, and is implemented for your safety, to make sure that no one else tries to shop with your credit card! Verified By Visa" or "Mastercard SecureCode" is an international payment standard that identifies the rightful user of this credit card during online payments with a MasterCard or Visa creditcard. You are requested for a password that has been set up by, and is only known to, the credit card owner. You can activate this code on the spot by entering the requested data, or you can skip the process by clicking "Do not activate". If you would like to pay with PayPal, choose the payment option "PayPal" in the checkout area. After confirming the order you will promptly be lead through the payment process without having to enter any further information. As soon as you have successfully completed this process, your order will continue to be processed. All Prices in the Online Shop already include the sales tax. These prices are valid for all EU-States. For Switzerland and Norway you will responsible for imports duties. Unfortunately our system will deduct it, please contact us to let us know and we will endeavour to make the adjustment. Please note for International Sales, we do not cover any import tax. It is your responsibility to understand the implications of buying abroad. You might face customs fees, which we cannot be responsible for. These fees depend on the contents of the packet as well as their value and as a consequence, they can vary.By law we have to state the value of the product on supporting documentation. Why become a Board Basement Customer? Here at the Board Basement we have a large selection of quality gear at low prices. We get new products in every week throughout the year, so there are always new deals to be found, be it last year's stock, sales samples or simply supplier deals. Treating customers, as we would like to be treated ourselves is one of key beliefs and the foundation of our customer service. To manage you as a customer in a safe way we need you to register a new customer account. It is really easy to register a new customer account. Just follow the two steps below and you are done. Click on "REGISTER" in the This-is-Top right corner of the Board Basement online shop. Enter your details (Make sure you enter a valid email address that you have access to) and click the Register button. Done! You are now a registered Board Basement customer. You can view your order history. If you can't find the answer to your question in the section below, please contact us and we will try and answer your question. 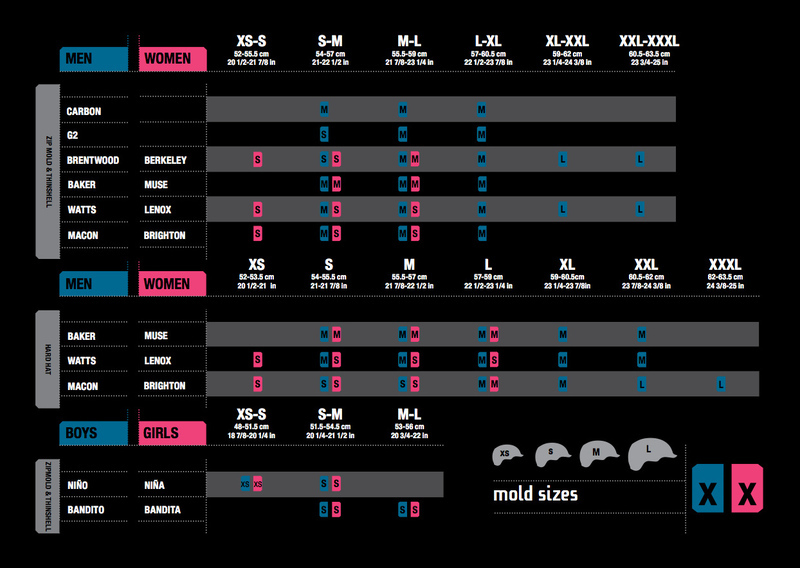 Below you will find some useful buyers guides and size charts. 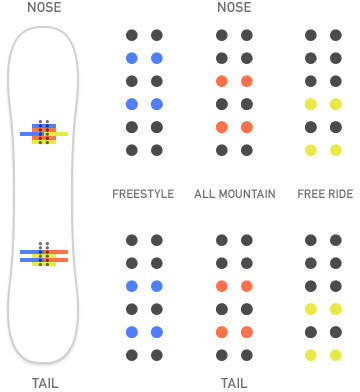 If you are new to Snowboarding and not sure what snowboard, binding, boots or other equipment to choose, please read through the guides to give you a better idea. If you still need some advice feel free to contact us. We are all keen snowboarders with years of experience. We test and use most of the products we sell, so we will be able to give good and honest advice. In the This-is-Top banner of our online shop you will find our search bar. Just type in the product name or a key word and the smart search will automatically give you options. If you know the full name of the product, type in more information to give you more specific results. If the product is sold out or not in stock, it will not appear in the online shop. If you can't find a specific brand or a product, please feel free to contact us. We will do our best to try and make the product available for you. If you want to browse different product in a specific category, use or filters to narrow down the selection, giving you the best option available. 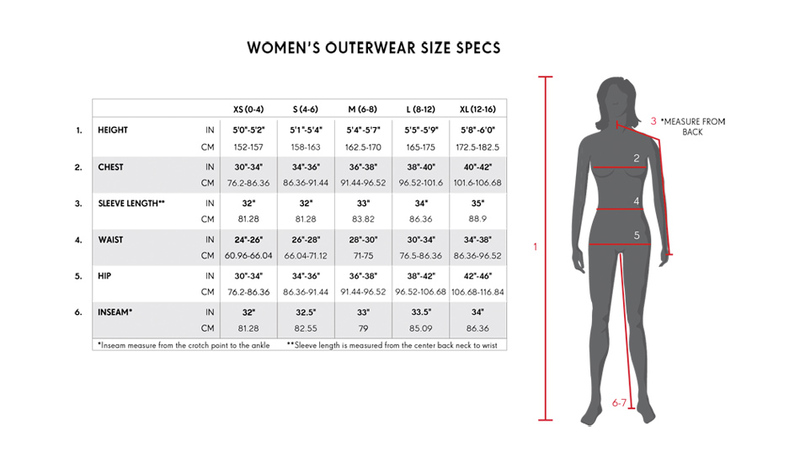 If your size is not displayed, it means that we do not have that size in stock at the moment or it might be sold out. Only the products and sizes that are visible in the online shop are available for purchase. Product descriptions and product images. Here at the Board Basement we always try to write our own description of the product to give you, the customer as accurate description as possible. However, if you want to know more about a specific product, feel free to contact us. Many factors decide the accuracy of the photographs and the true colour of the garments or product. When choosing product images for our online shop we use images supplied by the manufacturer or we take our own photos. We always check the images so they are true to the real colour of the garment or product. Different types of lighting used when photographed can influence how the colour looks in the photograph. Please note that the monitor and its settings may influence how the colours are rendered on your computer. As soon as you have completed the checkout process you will receive an automated email confirmation from The Board Basement. If you have placed an order, but still not received an order confirmation email. Please ensure that you have entered the correct e-mail address. The order confirmation is always sent to the e-mail address saved in your customer account. This will be the same e-mail address that you log in to your Board Basement customer account with. If this email is correct, please check your Spam or Bin folder so it has not been filtered there. Your customer account gives you an overview of all of your orders. Please check this overview to ensure that your order has been correctly entered and received by us. Please also take note of the order status. If you cannot find your order in this overview and also haven't received your confirmation e-mail, please contact our Customer Service. When we receive your order, we will first check the payment details and make sure no fraudulent orders goes through. If everything is fine and all details are correct we will pick and pack your order. If you order before 13.00 during a working day we will dispatch your order the same day. Any other orders will be processed at the latest the next working day. Depending on the delivery address and the delivery option selected at the checkout, delivery times vary. Please read more about delivery here. My order has not been dispatched yet. What is going on? In the unlikely event of the product not being available we will contact you as soon as possible to try and resolve it. We are a multi channel business and due time delays, it may be the item has sold elsewhere and not updated in time and unfortunately some times cause out of stock issues. If we suspect that someone has been trying to make a purchase with a stole credit card or with card details that does not belong to the rightful owner, we will not dispatch the order. Have you checked your e-mail or your telephone answer machine / message for messages from us? We will contact you as soon as we can, if there is a problem with your order. My order has been dispatched, but I have not received it. Sometimes parcels get lost or stolen during delivery. Use your consignment / tracking number to make a search for your order. Your consignment / tracking number will be sent to your email address. You can contact the courier / post service directly you try and resolve any issues. The most common problem is that a delivery attempt has been made, but no one was in available to sign for the parcel, and the Post person has neglected to leave a calling card. You can find more delivery information here. I no longer want the order I have received. -No problem. You can still send back the order, as long as it is in the same condition as when you received it and with the labels attached. Please click here to find out more information about our returns policy and returns instructions. If you live near Exeter, please come and visit us. We recommend to have a look on the website before you come and visit, so you have a fairly good idea what you are looking for. We have thousands of products packed up in boxes in the warehouse, so to browse it all will take hours. Please click here for opening hours and address details. Most of our products are already discounted, so if you are looking for a bargain you have come to the right place. We will not discount "in season products" until advertised in the online shop. If you are planning to buy a package including a Snowboard, Bindings and Boots; please give us a call and we can give some advice and help you find the best combination and price. Are you unhappy with any part of the service provided? Simply put; if you are a customer, then you are our customer and we will only communicate with you if and when we have something interesting to say. We don't like being bombarded with marketing ourselves, so we won't do it to you. We will not share your data with any other marketing companies, why would we? For those of you with data and privacy concerns, in simple terms we only store the details you have given us and no financial data, it's only name, address, and details of your purchase plus any preferences you told us about as well as the previous products bought. The financial information we store at The Board Basement covers how you paid and when, no more. Credit card details and such are stored with secure third party software, in this case SagePay. If you use PayPal you are clearly happy with them and they do not share any financial information with us. The financial information we share with our merchant service companies (Sagepay and PayPal) also helps us prevent fraud. We do recommend you to opt-in to our email list for the updates if you are interested in board sports and the products we sell. We get deals coming in all the time and in a slightly random fashion too, so if you opt-in we will simply drop you a message when something new has arrived or got anything exciting to tell you about. Alternatively you can bookmark our site or follow us on Facebook or Twitter - again we only write when there is something worth saying. We pretty sure you don't care about what we had for lunch or our views of politics, we can't even agree on that. In end we want to sell you cool and exciting gear for you to have good time with; we are not out to influence your politics or tell you how to lead you life, although we do think saving the world is good thing! As is Snowboarding, the beach, wakeboarding, the mountains, surfing, skateboarding, having a BBQ with friends and dancing like your Dad. Oh, if you are not yet a customer but a friend who's interested in what we're up too, again we'll only speak to you if you've opted in for us to do so. If you have any questions, please contact us: stuart@theboardbasement.com. We are also registered with data protection. Here’s the details because we need too, it's the law! At The Board Basement we committed to protecting the privacy and security of our customers and all site visitors (all of you). We appreciate and respect how important privacy is. We collect and process your data to pursue our legitimate interests (sell you cool stuff), in ways they would reasonably expect as part of running our business and which does not materially impact your rights, freedom or interests. If you have placed an order with The Board Basement, or registered to receive emails, we assume you are interested in our products or services. We will send you emails about products and any special offers. You can unsubscribe from these mailings at any time, by clicking the unsubscribe link at the bottom of all our newsletters, or by contacting us on info@theboardbasement.com. We may use your purchase history to send you or make available personalised offers – not to profile you so you will vote this way or that. In specific situations, we can collect and process your data with your consent. For example if you enter a competition we are running on our site or a partners site, and tick a box to receive email newsletters. In certain circumstances, we need your personal data to comply with our contractual obligations. It is mostly for delivery, or maybe the odd warranty. For example, if you place an order for a snowboard for next day delivery to your home, obviously we’ll collect your address details to deliver your purchase, and pass them to our courier, in order to deliver your order. If the law requires us to, we may need to collect and process your data. For example, we can pass on details of people involved in fraud or other criminal activity affecting The Board Basement to law enforcement. Unfortunately this happens but we do our best to prevent it. It is also why we work with secure 3rd party payment tools and payments channels such as PayPal. When you make an online purchase and check out as a guest (in which case we just collect transaction-based data - you may still opt in to receive our newsletter). When you create an account with The Board Basement. When you purchase by phone or at our office. When you book any kind of appointment with us to visit our shop or warehouse. When you choose to respond any surveys we send you. If you have a web account with us (or place an order as a guest): your name, billing/delivery address, orders and receipts, email and telephone number. For your security, we’ll also keep an encrypted record of your login password. Details of your interactions with us online, via e-mail, or over the phone. Copies of documents you provide to prove your identity. This may include details of your full name, address, date of birth and facial image. If you provide a passport, the data will also include your place of birth, gender and nationality. Or a copy, screenshot of your bank statement in terms of fraud checking. We do not store documents used to prove your identity on or offline. If we ask you to prove your identity for fraud prevention purposes, we will delete any documents provided before your order is dispatched. 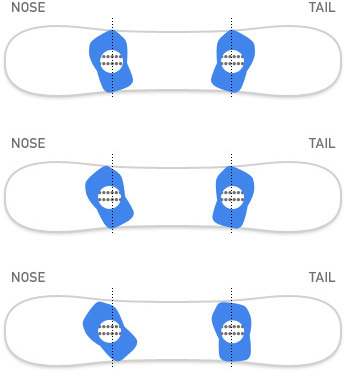 For example, you might tell us your preferred snowboard size, which we’ll use to guide your suggested items. We’ll only ask for and use your personal data collected for recommending items of interest and to tailor your shopping experience with us. Of course, it’s always your choice whether you share such details with us. We do not store full card details either online or offline. At no time during the boardshop checkout does anyone have access to your card details - All card processing is handled by Sage Pay. The Board Basement does not target and is not intended to attract children under the age of sixteen. Although visitors of all ages may navigate through our website we do not knowingly collect or request personal information from those under the age of sixteen. If, following a notification from a parent, guardian or discovery by other means, a child under sixteen has been improperly registered on our site by using false information, we will cancel the child's account and delete the child's personal information from our records. We use your information in a number of different ways - what we do depends on the information. The following lists a full breakdown. Sending you information by email, about our new products and services, or sending our weekly trade in surfboard newsletter (best e-mail of the week we are told). You can unsubscribe at anytime. Sending you unfinished order e-mails to determine if we can help with an unfinished shopping basket. Finding out what you, and other customers like, to ensure we are giving you what you want, and to stay as the UK’s best independent extreme sports stores. What you’ve said to us, for example, over e-mail, the phone, on instant chat, or on social media. Take payment, and give refunds. We’ve got to do this to perform our contract with you, we’re not giving everything away. Fraud prevention and detection. To prevent and detect fraud against either you or The Board Basement, unfortunate, but absolutely essential. Provide customer service and support. We’ve got to do this to perform our contract with you, after all, you expect the best service from us. Purchase history and saved items. How we use information about how you use our website. Improve our website and set default options for you (such as language and currency). To give you the best possible shopping experience. Protect our website. To prevent and detect fraud against either you or The Board Basement Ltd, unfortunate, but absolutely essential and to meet our legal obligations about looking after your data. Run the survey, competition or promotion. We’ve got to do this to perform our contract with you, if we can’t use your entry, you can’t possibly win - you really want to miss out on a free snowboard! We’ve said it before and we’ll say it again. We do not, and will not, sell any of your personal data to any third party including your name, address, email address or credit card information. We want to earn and maintain your trust, and we believe this is absolutely essential in order do that. Companies that do things to get your purchases to you, such as payment service providers, and delivery companies. Credit reference agencies, law enforcement and fraud prevention agencies, so we can help tackle fraud, and provide order on finance options. HMRC if audited for VAT because we’re small enough not to afford to expensive lawyers to avoid paying it. Professional service providers, such as advertising partners and website hosts, who help us run our business online. Website team to help make the journey through the website better. If you have placed an order with theboardbasement.com, or opted in to receive our newsletter, we assume you are interested in our products or services. We will send you our weekly e-mail newsletter, our weekly surfboard trade in newsletter, and any special offers from time to time. If you do not want to hear from us after this, its really easy, just unsubscribe. Its at the bottom of our emails, or you contact: info@theboardbasement.com Once you do this, The Board Basement will update your profile to ensure that you don’t receive further marketing messages. You don’t need to complain to the ISP or anyone else, just let us know. Stopping marketing messages WILL NOT STOP service communications (such as order updates, abandoned basket / failed order emails). These are part of the order process. Access to your personal data is password-protected, and we don’t store sensitive data such as full payment card information which is held on secure protected 3rd party software. We regularly monitor our system for possible vulnerabilities and attacks, and we carry out testing to identify ways as we need to be compliant with the PCI otherwise we will not be allowed to take credit card payments. A cookie is a tiny text file of letters and numbers that is stored on your computer or handheld device for tracking and record-keeping purposes. We use both session ID cookies and persistent cookies, to make it easier for you to navigate our site. Cookies collect anonymous data, it is not linked to you specifically, you are simply a string of data. This helps us see what is happening and to find out where things are working. A session ID cookie expires when you close your browser. A persistent cookie remains on your hard drive for an extended period of time. You can remove persistent cookies via your browser’s ‘clear cookie’ function. More information on cookies is available at www.allaboutcookies.org. Like many extreme sports independents we are not a massive company, with huge marketing budgets. But we do engage in limited online advertising, also to keep you aware of what we’re up to and to help you see and find our products. Like many companies, we target adverts such as banners to you when you are on other websites and apps. We do this using a variety of digital marketing networks and ad exchanges, and we use a range of advertising technologies like pixels, ad tags, cookies, and mobile identifiers, as well as specific services offered by some sites and social networks, such as Facebook’s Custom Audience service. The banners and ads you see will be based on information given to these third party companies, or your previous use of www.theboardbasement.com (for example, your search history, products you have viewed). You can opt out of these at anytime by clicking the tool option on the banners or adverts. Anything else not covered here.